The Berlin Wall was only a vague image and I lacked information of it before hand. 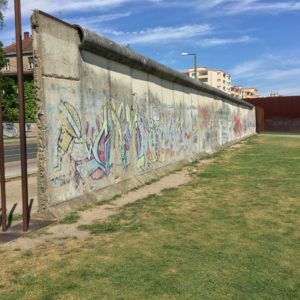 Growing up and attending school my teachers hardly went into detail about the history of the Berlin Wall. I knew practically nothing about it other than that it was a wall and that many people died from it. I know it may sound crazy that my knowledge before hand was only of that but in school it just wasn’t seen as a focal point. 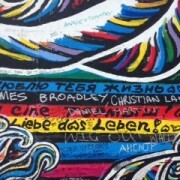 It blows my mind that I was able to go all those years without having a clue on how the Berlin wall impacted history. Approaching the memorial, I honestly didn’t know what to expect. The whole-time curiosity was definitely flowing through my head. Fortunately, I was privileged to have a knowledgeable tour guide named Adam. 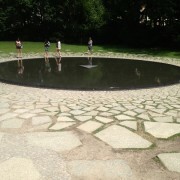 Before actually visiting the site, Adam explained how after WWII, Germany was divided into the East and the West. East and West what does that mean? I always thought Germany was one country! However, as I was to learn, West Berlin was occupied by the British, French, and Americans whereas the East was occupied by the Soviets. Also, I was surprised to learn that from the time of its construction, the wall was always under construction until 1989 when communist rule in East Germany came to an end and the wall was dismantled. At this moment, I realized that not only is this going to be a fascinating experience but also an enormous educational one. 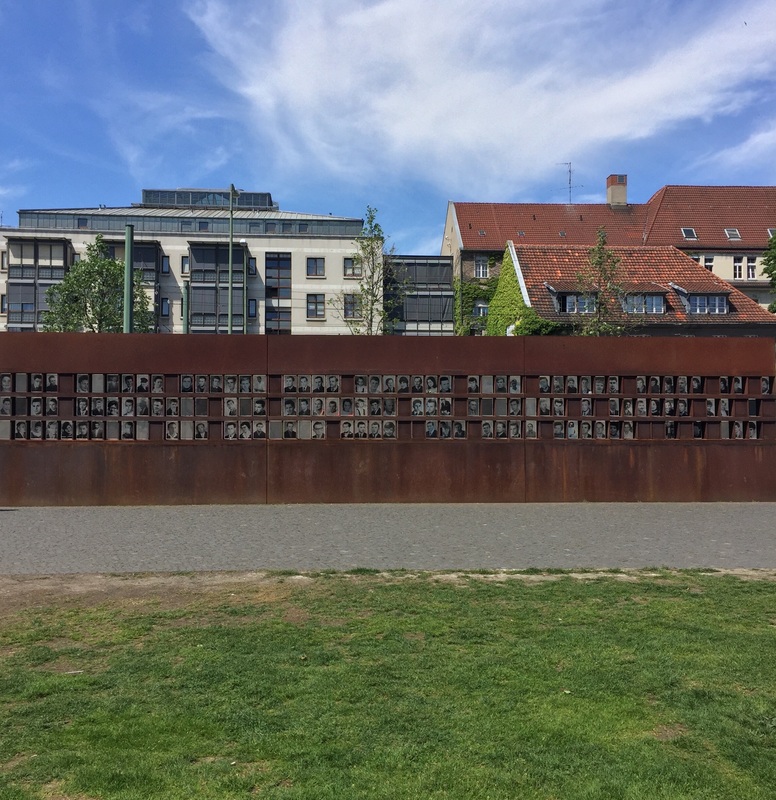 After Adam had finished giving us a generalized summary of the history of the Berlin Wall we proceeded to the actual memorial. 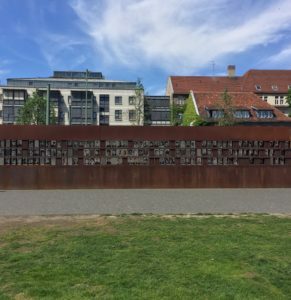 Reflecting back on the memorial what struck me the most was this history of the victims of the wall. I learned that the majority of the individuals were male and of a young age. As I stood there gazing at the memorial with the pictures of the individuals whose lives were lost due to the existence of the wall, two individuals stood out to me the most. One was about the oldest woman to have died and the other was of a young boy. Adam went into detail about each. The woman was one of the few females to have been killed; she was also older than the majority of the victims. Her age and gender was somewhat rare. The woman had decided to escape because her only family consisted of a sister, who unfortunately lived on the other side of the wall. Her apartment was situated along the wall and for many people an idea of getting to the other side was to jump out of window. That was this woman’s idea as well. Unfortunately, she did not survive the escape attempt. Just imagining an individual trying to take such desperate measures to be reunited with family and willing to make such a terrible sacrifice is deeply unsettling. The story of the young boy was moving. 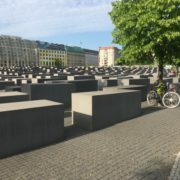 His death also symbolizes the fear the wall instilled in the citizens of Berlin. This boy was playing outside with a ball with a couple of friends just like any child would. As they were playing the ball fell into the river which was an off-limits zone. Unfortunately, the boy fell into the river and was unable to swim. As he frantically called for help groups of people watched. These bystanders were not willing to go into the water to save the boy due to the risk of being shot. The boy died and this imagery of a child drowning while people were terrified of saving him for they feared that their own lives shows the horrors that came about due to this wall. Hearing those two stories really made my heart sink and those are two stories that I certainly will never forget. As I walked through the memorial I noticed the graffiti on the wall. I was intrigued to find out that this graffiti was actually not authentic. The next thing Adam pointed out was that the lamp posts were originals used by the guards on watch to prevent escapes. We preceded to walk towards a remodeled watch tower and the side of the wall that had absolutely no graffiti. While I looked at this tower I recreated in my head what this tower would have looked like back when the wall was in commission. For some odd reason, I could easily picture this tower being lit up at night with the lamp post following it and I came up with this dark image and I can picture the fear in the eyes of its victims. Of course, I’m not saying it was lit up to look nice but lit up to make people afraid. I can almost imagine parents telling kids to stay away from the lights. It was really a remarkable scene regardless that it was a remodel. 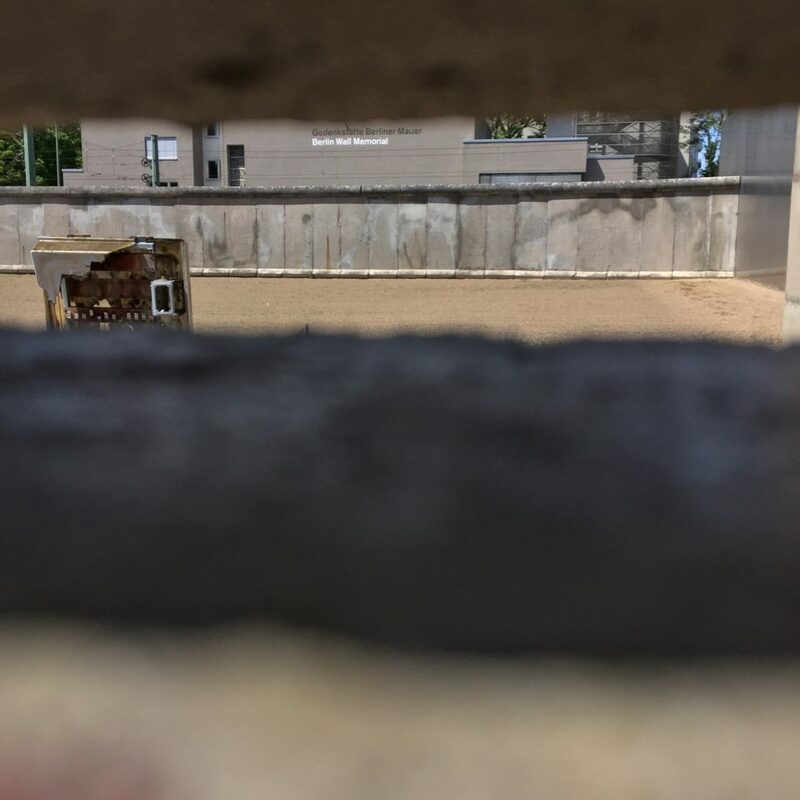 At the end of the tour, we were able to examine a preserved fragment of the wall and the death strip through a crack in a fence. In its original state, no graffiti in the space that had served as the death zone was visible. 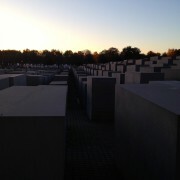 It was an amazing experience to be able to look through the crack and stumble upon history right in front of your eyes. I was shocked to notice that the wall wasn’t very high and that with the help of three people someone could manage to get over it. 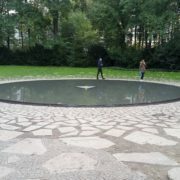 After visiting the memorial, I kept wondering whether people had still been afraid of crossing it after it had been torn down? 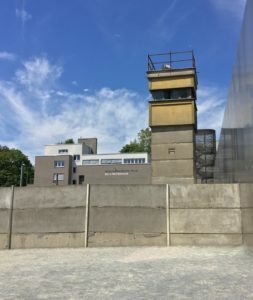 What were the long-term effects of the wall on society? Most of it was destroyed by citizens and today very few sections remain. 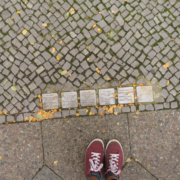 Overall my experience at the Berlin Wall Memorial is something that I will remember for the rest of my life. Not only being able to witness the site in person, but also being able to learn so much about a piece of history that I had never even knew existed. 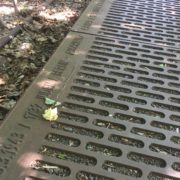 This experience has inspired me to want to research more about the history and about the victims’ lives. It has opened up a whole new area of interest for me.